You can create your own Applications using LinkData works in LinkData.org as input data. 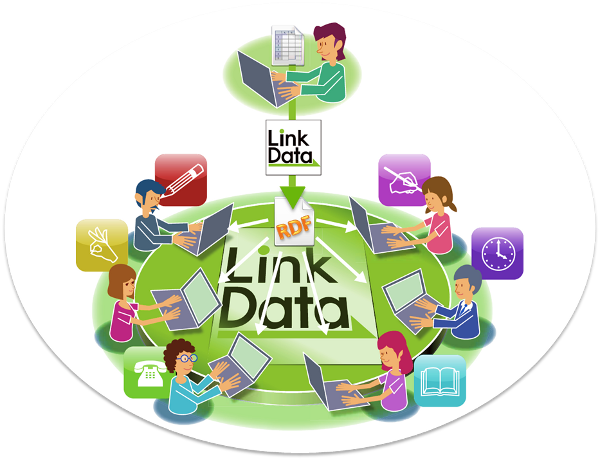 In LinkData Community, a dataset and an Application created by user are called a "LinkData work" and an "App work" respectively. Let's join LinkData and share your work with many people! How to create an App work? There are 2 ways to create an App work. You can create an App by choosing a LinkData work from LinkData.org as input data. go to Create App Tutorial - How to create an App? You can create an App by choosing a published App work and reusing the program code(i.e. to "Fork"). Go to Fork App Tutorial - How to fork an App?